Here it is Friday night and I’m finally getting around to talking about what a great time we had last weekend. Todd and I had our first date night here in Anchorage last Friday night. We had a delicious dinner at Sullivan’s, a steakhouse downtown. We then walked down the street and checked out the 2012 Alaska Beer and Barley Wine Festival. Lots of fun – lots of good beer, some really, really bad beer and I found a few really good ciders. Ciders are my current drink of choice. Last call at the beer fest was 10 pm, so then we headed back across the street for a nightcap and then took a cab home. Saturday morning we had our first moose sighting in our yard. They have left tracks, but we haven’t actually seen them walk through. Belle, my 14-year-old Jack Russell, alerted us to the big cow’s presence. I ran to get the camera, but alas, the moose was traveling and not hanging out, so by the time I tried to take her picture she was too far up the hill in our backyard to get a decent shot. 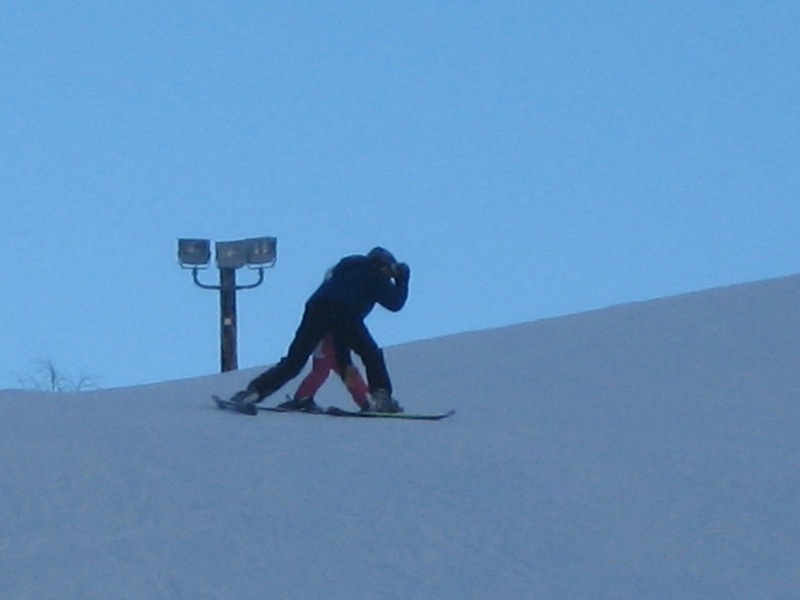 Later that afternoon the girls had their third downhill ski lesson. Audrey’s instructor immediately took her up on the lift. 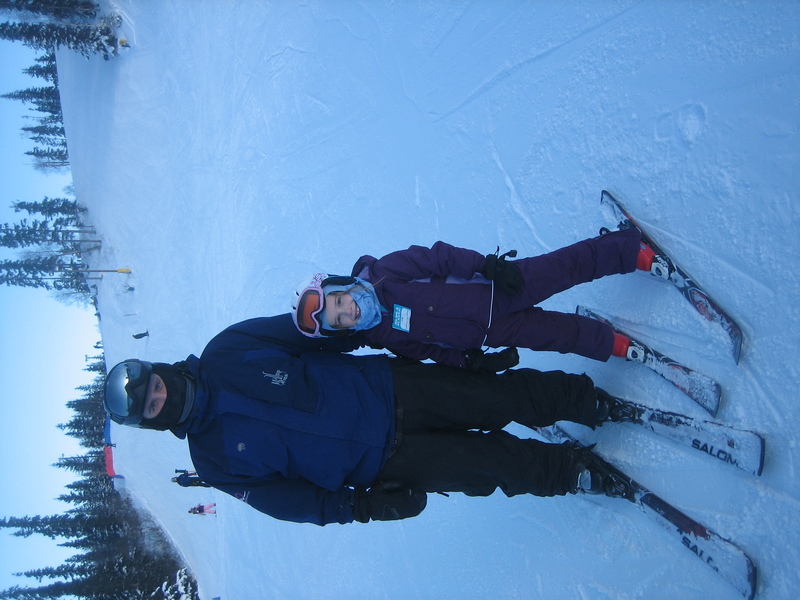 Kate spent about half of her lesson on the bunny slope, but then her instructor took her up the lift as well. Audrey has taken to the cold weather sports like a duck to water. She loves sledding and says the best part about downhill skiing is going fast. This is my cautious child if you’ll remember. I’m attributing her new confidence to her riding lessons this past year. We’ve seen a huge improvement in her risk taking since she learned to ride. Both girls made it back down the mountain. So now, after three lessons, they are better skiers than I am. 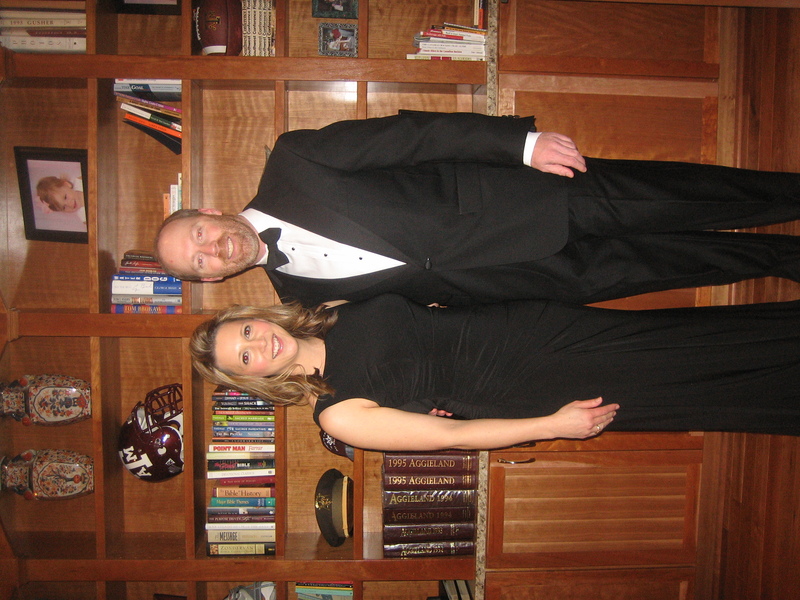 Saturday night, Todd and I attended our first social event here in Anchorage, the 2012 Fire and Ice Ball benefitting Covenant House. Covenant House is a local resource for homeless and at-risk teens. We had a fabulous time getting all dressed up, had some really great food, danced a little and got to know some more people here in Anchorage. Great time and great cause.